The final values of alternatives usually are fuzzy numbers in most decision making problems under uncertain environment. These fuzzy numbers need to be defuzzified by a ranking method to assist in decision making. Chen proposed ranking fuzzy numbers with maximizing set and minimizing set as an improvement on Jain’s maximizing set method. Liou and Wang indicated that ranking of any two fuzzy numbers by Chen’s method may be altered when xmax, xmin and k are changed. To solve this problem, Liou and Wang proposed ranking fuzzy numbers with integral value. However, the problem of Chen’s method remains. This work proposes relative maximizing and minimizing sets to improve upon Chen’s method. Comparative examples are provided to demonstrate advantages of the proposed ranking method, and an experiment is conducted to show its robustness. The proposed ranking method is applied to a fuzzy multiple criteria decision making (MCDM) model to present its applicability. Ranking procedure can be clearly displayed to enhance execution efficiency of the suggested fuzzy MCDM model. A numerical example is used to display feasibility of the proposed model. 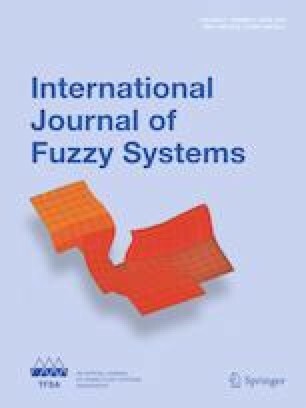 Finally, an experiment is investigated to show that the proposed ranking method improves upon Chen’s method in consistently ranking the final fuzzy numbers in the suggested fuzzy MCDM model.